Off-road scooters are some of the best ways to play or navigate. They can tackle tough areas where normal scooters find difficult to navigate. With these off-road scooters, you are not restricted to the pavement. However, this does not take from it, the fact that it is still a scooter. Scooter riders can attest to the fact that they cannot get enough of their rides. Tearing the road on a scooter is breathtaking. It is an indescribable feeling you have to experience for yourself. Some people are put off by the complaints other users say they are not able to ride in remote areas on a normal scooter. Fear not since the scooters in this list is designed in particular for such kinds of terrains. 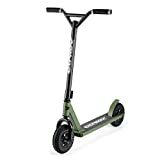 We have compiled the best off-road scooters on the market and provided a few tips that should help you when making your purchase. Starting our list is this heavy-duty off-road scooter from Razor. 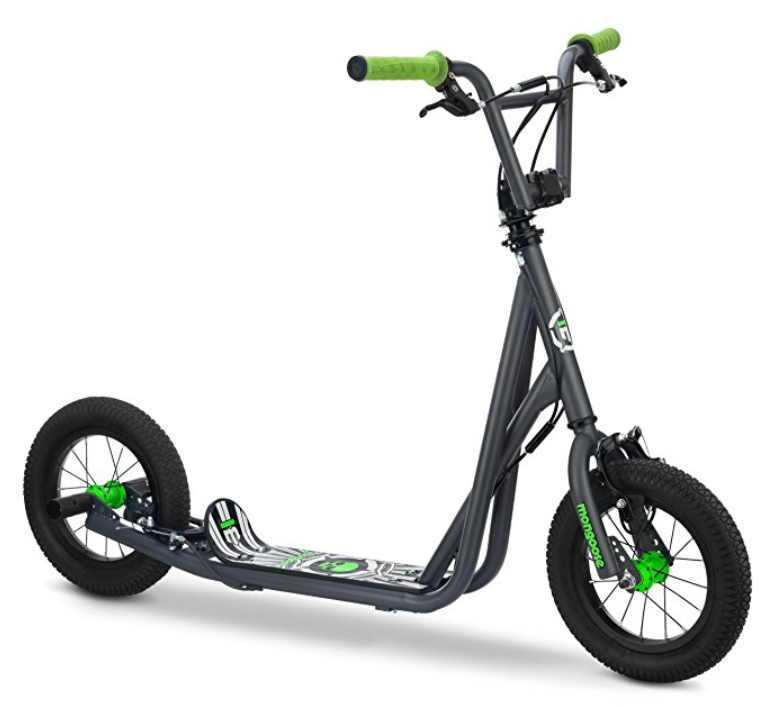 It is made of lightweight aircraft grade aluminum frame and a tubular BMX style. With that combination, the off-road scooter weighs only 14.9 pounds. That weight also includes the tires as well. This lets you do your stunts with a certain level of craftiness. Also moving it from place to place is not a problem, and to increase its portability, it can be disassembled easily to save you on storage space. The handlebars have soft rubber grips to keep you comfortable on tough terrains. Has a rear fender brake on the frame to let you reduce your speed rather than just using your feet. This is an electric off-road scooter for ages of 13 years and above. This scooter achieves a maximum speed of 12 miles per hour with the electric engine fired up. The amazing thing about this Razor off-road scooter is that you can switch gears, to give you control over what speed you want to cruise at. 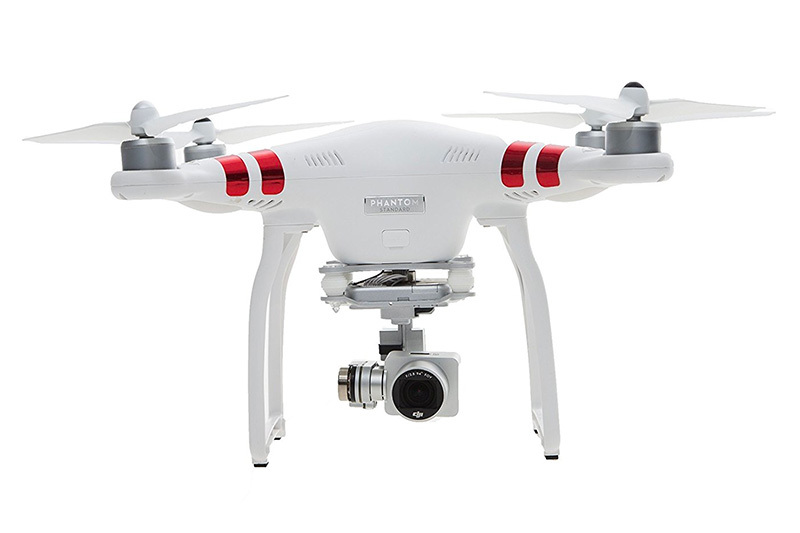 It has hand-operated disk brakes to give you better control and stopping power. The electric motor connects to the rear tires using a chain link. With the added power, you can glide for 40 minutes up until you recharge. 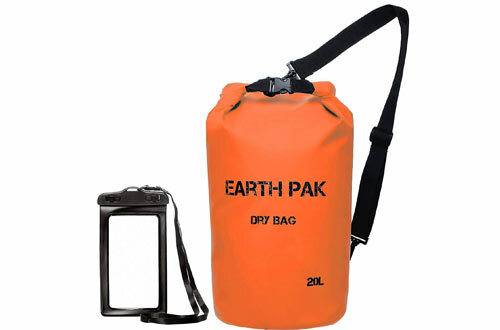 This has been tested on a flat terrain while carrying the maximum weight it can support of up to 154 pounds. For ease of use in dirt roads, it comes with inflatable tires up to 60 Psi. This Razor scooter has a retractable kickstand to support it when you get off. This off-road scooter is a great fit for anyone who wants to show off his or her skills. This is made possible with its BMX style handlebars. The deck is rubberized to ensure the user will not fall off easily when they make those intricate moves. 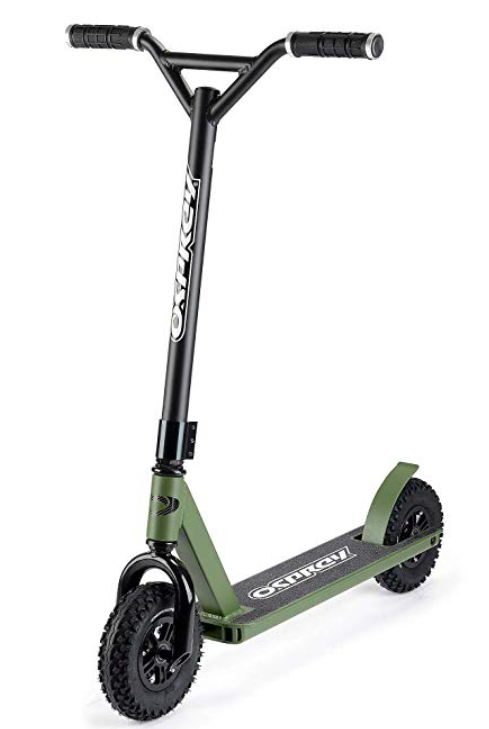 In addition, the thick handlebars give the user the maximum amount of grip to hold on tight to this off-road scooter. 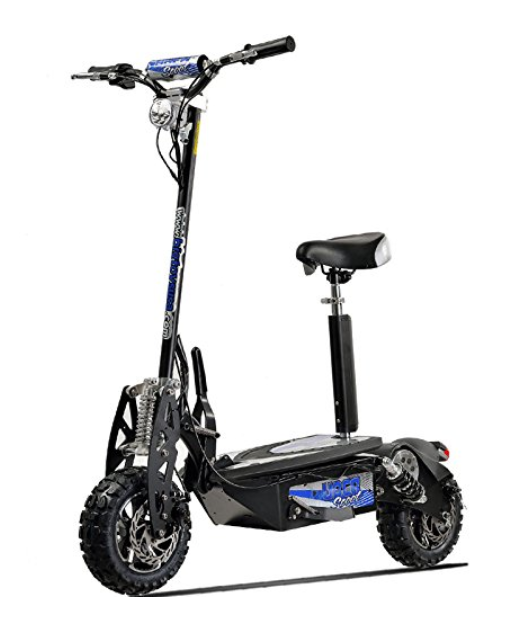 This Xspec off-road scooter is made of lightweight materials for the user to be able to carry their scooter without difficulty. Xspec used 6061 aluminum, to make the scooter’s Pro quadruple head clamp. The head clamp is re-enforced, including the steel alloy threaded fork. You will find the aluminum rims’ unique gold and black appearance captivating. The handlebar is easily adjustable, making it readily available for a wide age spectrum. 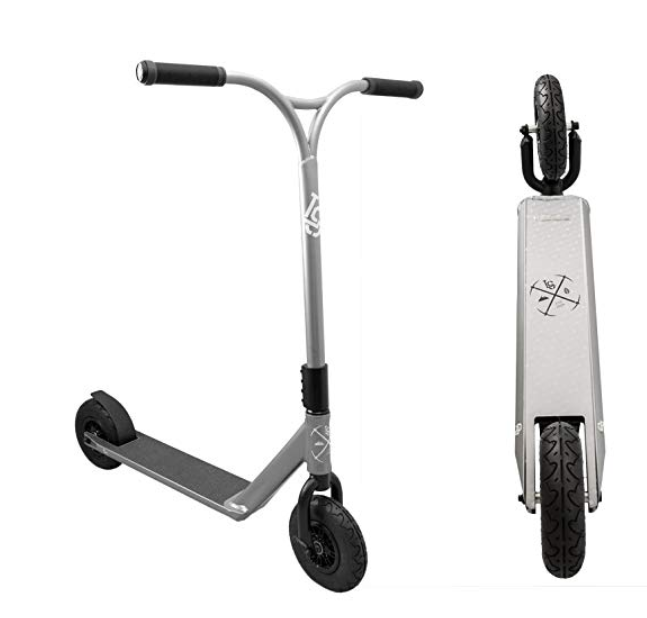 Strong aluminum rims, will not buckle under the hardest of impacts with this scooter. This off-road scooter is designed for your young ones, from 7 years and above. 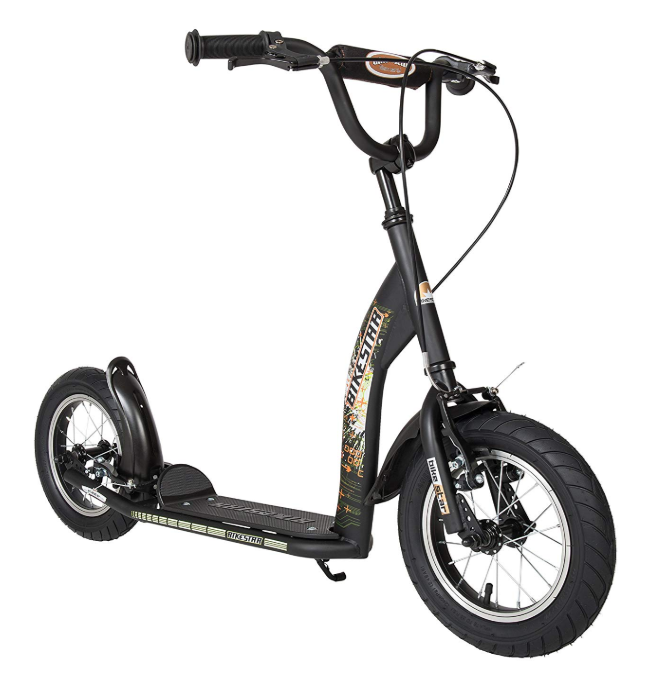 It offers the optimum maneuverability for them with its wide handlebars. 12-inch inflatable tires cushion your kid on the toughest of terrains. The wide handlebars make it easy to get the hang of it, even for first-timers. 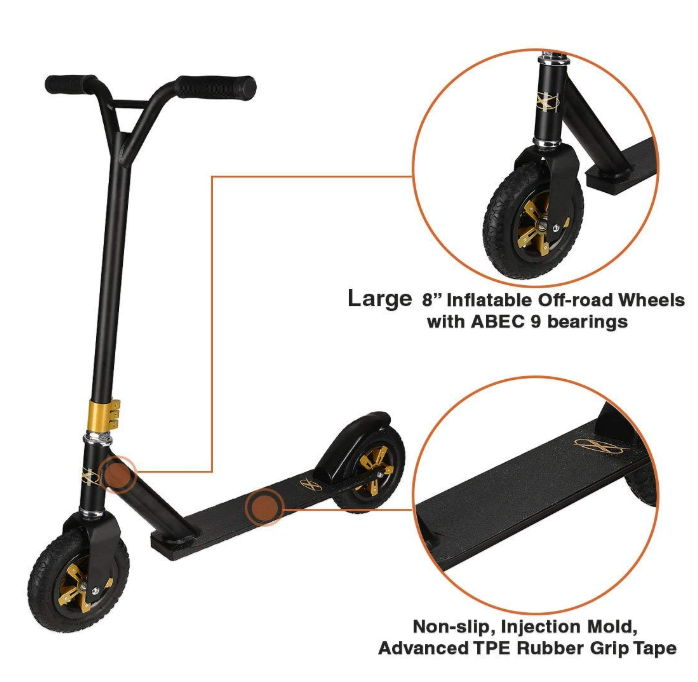 With the addition of bearings contained in the steering, turning this scooter is a breeze. This is definitely the kind of off-road scooter that you will feel confident letting your kid ride. The safety features included on the scooter are impressive. From a hand protection device to a certified, poison-free, safety steering wheel. Impact resistant paint means the paint will not tear off easily when hit. This scooter comes with bells to warn other road users. This electric scooter is powered by 1200 watts of power. With it, you can drive to a distance of 80 kilometers on a single charge. This is, of course, dependent on weight and slope you are riding on. The most astounding thing about this off-road scooter is that you can achieve neck-breaking speeds, of up to 85 kilometers per hour. It also has a weight carrying capacity of 250 kilos. To assist the rider on tough terrains it comes with dual-shock absorbers and inflated tires. On top of this, you also get a hydraulic braking system on the bike. 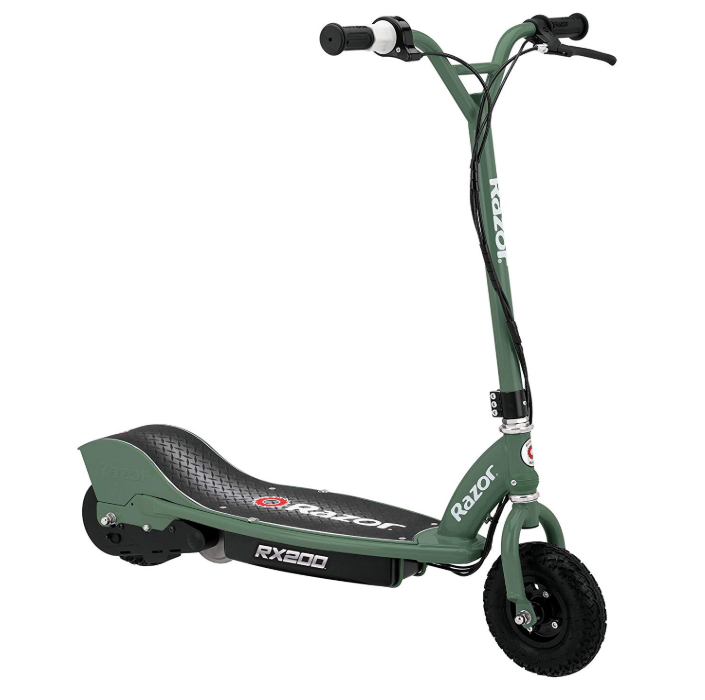 In under 2 seconds, this scooter folds for you to carry it easily from place to place if need be. A free seat that can be attached to the scooter is included. This scooter is meticulously designed to work off-road. It is made of chrome bars and an aluminum deck that will never buckle under the toughest of forces. 200mm wide tires provide fantastic grip on the hardest of surfaces. This off-road scooter has been pushed to the limits in terms of what you can achieve on it. Not forgetting it still looks good with its split core hub design. Furthermore, its unique color combinations make this Osprey off-road scooter look outstanding. Has a stainless steel rear brake for decisive stopping power. The navigation bar is rubberized for the ultimate grip. Razor has been making a name for themselves since the year 2000 they have risen rapidly in terms of market share. The reason for this is quite simple; they have been making headway in the very best qualities in material, riding experience, and innovation. With the Razor pro-RDS, they do not disappoint. This scooter is made of Aircraft grade aluminum frame, with a triple stacked clamp construction ensuring maximum rigidness and stability. 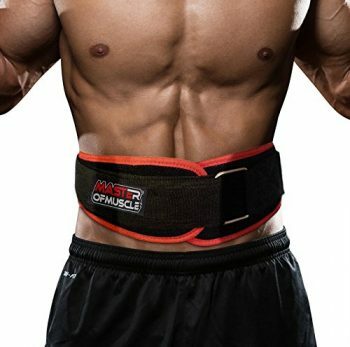 It can support up to 220 lbs. for normal riding and 120lbs for aggressive riding. 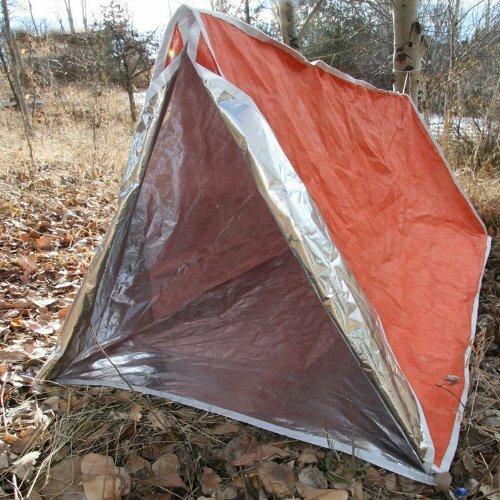 The lightweight design makes it super comfortable to work with and easy to move. For over 40 years, Mongoose has been making products that push the limits with what a rider can do. With this scooter, you can perform multiple stunts on it. 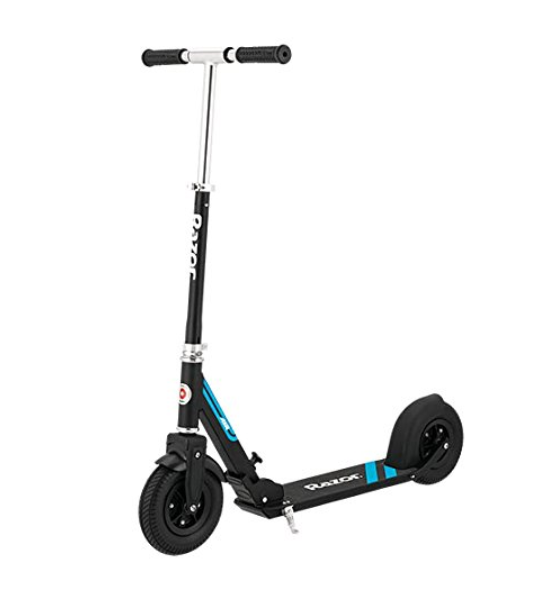 I would recommend this scooter for buyers looking for a trick ready option. This is thanks to its BMX freestyle rotor and axle pegs. The best thing about this scooter is that it is not that expensive. When you gauge its prestige value and what it offers, this is a steal. We have seen other companies offer less for more money. This is a worthy purchase that everyone in your household will enjoy riding. The foot deck is wider than most scooters we have come across. You have up to three color combinations to choose from in grey, pink, and blue. BIG TOYS is always a step ahead of the competition. It has some of the most modern off-road scooters in the market. This scooter is powered by a 1600-watt capacity battery, which provides it with a major boost. The battery can also power the scooter over a distance of 12 miles per charge. Although, this depends on the weight it is carrying and elevation. It takes about 8 hours only to fully charge and you are good to go. The large 12-inch inflatable tires provide a smooth ride to the user. This is regardless of the terrain. Has an economy button to save on power, reducing the acceleration and top speed. Quick release seat can be used at the user’s discretion. 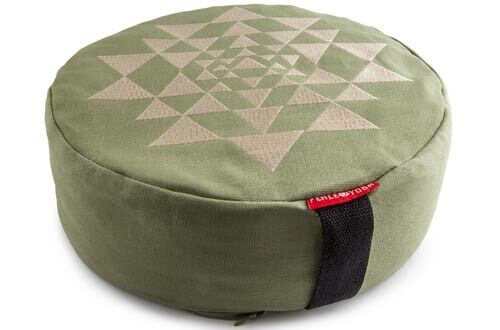 This seat is provided in the first purchase. This Lucky scooter was made for people who are not afraid to push the limits. It is so robust and will hardly get damaged. The navigation bar is made of chrome, and the clamp is made of aircraft aluminum with a unique and stylish new shape. These two combine to give you a lightweight off-road scooter that will not buckle under the hardest of strains. This scooter weighs only 17.15 lbs. Lucky has put into it extensive research to bring you one of the best off-road scooters in the world. It is built for the roughest terrains and performs, as it should. The brakes use 18-gauge spring break with an anti-vibration pad. This scooter will not bend nor crack with time. Quality of materials: we have sifted through the best brands in the market that offer the best combination of materials. 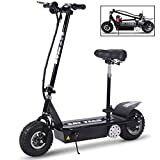 A scooter should be light enough for movement, and at the same time tough enough to serve you for a long time. 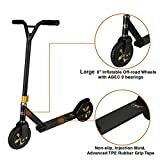 Weight bearing capacity: You should check to see that your off-road scooter can support your weight. 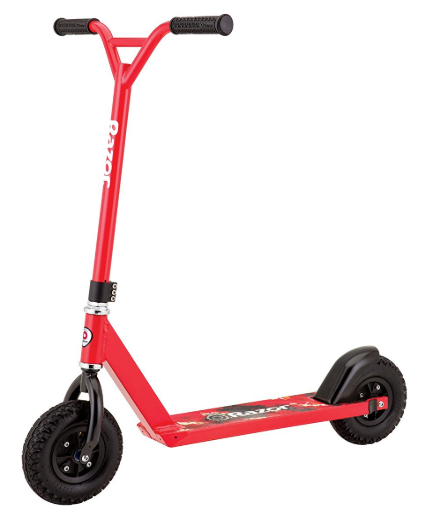 Some scooters are built for kids having lower bars. Some have higher steering bars and these can support an average weight comfortably. We have highlighted some of these different types in this review. Electric or not: In the current market, we are seeing a growing trend of electric powered off-road scooters. We have also included some of the best in the market in this review that is electrically powered. If that tickles your fancy then you can get the benefits of both worlds. They are fun: You can ask someone who rides a scooter, and they will tell you the adrenaline rush they get from their rides is unmatched. We even go a notch higher with off road scooters that can tackle all types of terrains for your thrill. You learn new skills: with off road scooters, you can perform different types of tricks on your ride. These tricks can only be performed on these types of scooters and you will be different from the norm. You will enjoy yourself while showing off your new abilities also. Maneuverability: An off-road scooter can open up your world in terms of where you can go. You will be able to reach far-flung areas reducing your effort and time. To add to this, even in busy environments, you will be able to move around since these off-road scooters take up less space than say bikes. As fun as it may be, riding an off-road scooter should be taken seriously as well. The serious aspect of this sporting activity comes in when dealing with the user’s safety. You have to ensure that you are safe at all times by wearing protective gear. 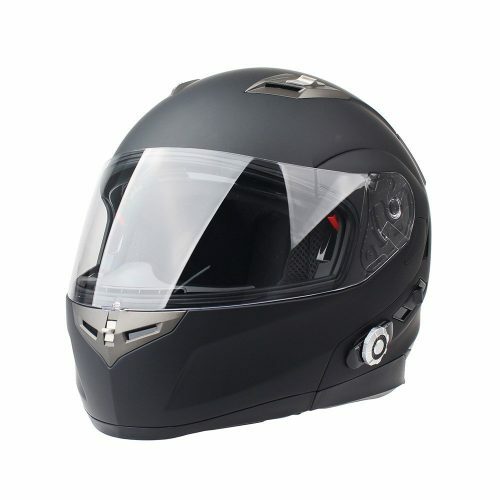 When it comes to helmets, the most recommended types have additional protective pads. By keeping yourself safe, you get to have fun much longer.